Explore some of Taiwan’s most beautiful natural scenery, and leave the bustle of the city far behind, on this seamless, 3-day tour. Set off from Taipei via comfortable bus, and venture first to Sun Moon Lake (Taiwan’s largest body of water), which you’ll explore by boat. On the second day, head to the Lukang Historic Area to learn more about Taiwan’s wealth of history. 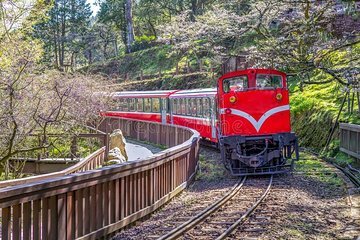 Finally, visit Alishan National Scenic Area, famed for its verdant forests and mist-shrouded hills, and explore further with a ride on the Alishan Forest Railway.